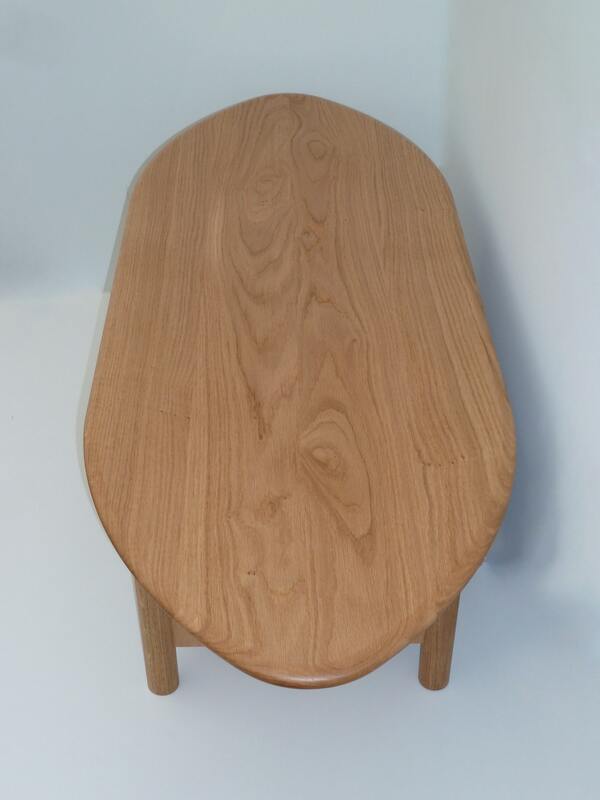 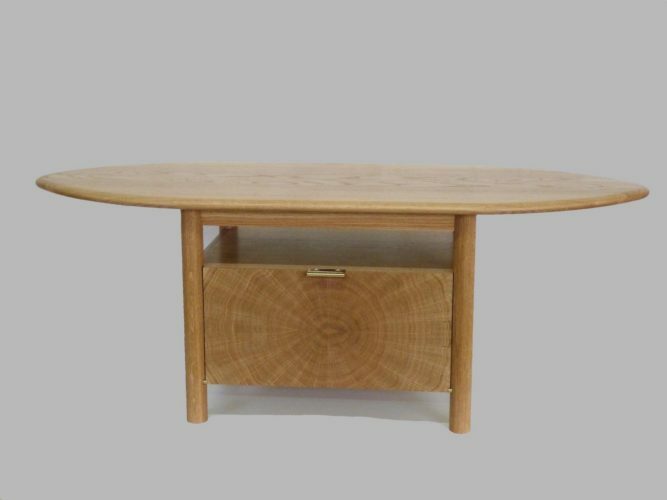 ‘The Tree Revealed’ Television Table is so called because the centre of the tree is exposed on the front face of the cabinet. 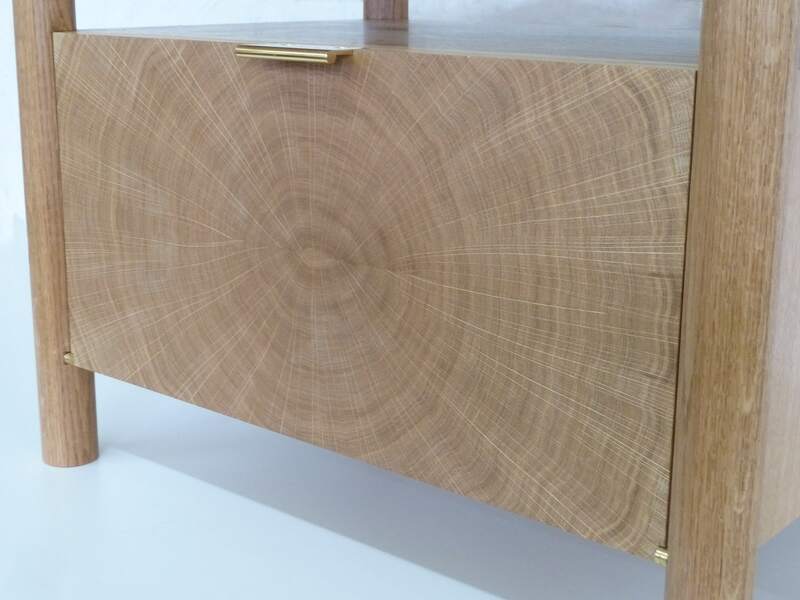 End grain oak veneer is used to produce the effect of cutting through the tree trunk to expose the heart of the tree. The table is made of English Oak, finished with several coats of wax/oil for a luxuriously smooth, protective finish that brings out the beauty of the wood. 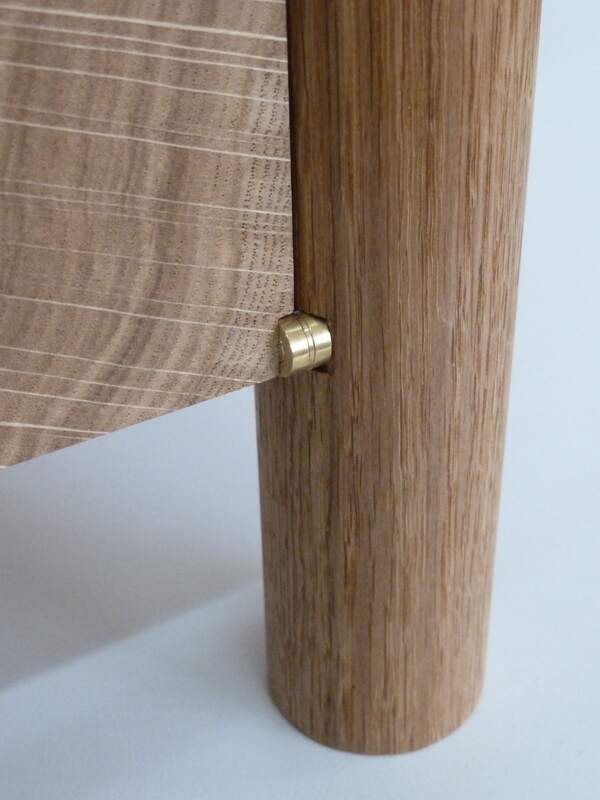 The cabinet has been finished with high quality brass hinges and a brass door pull, together with bespoke leather and brass stays. This table has an elongated top, designed to accommodate a large (or indeed, small) television in the centre of the table, providing elegantly curved ends that sweep away to blend in with the ends of the television. 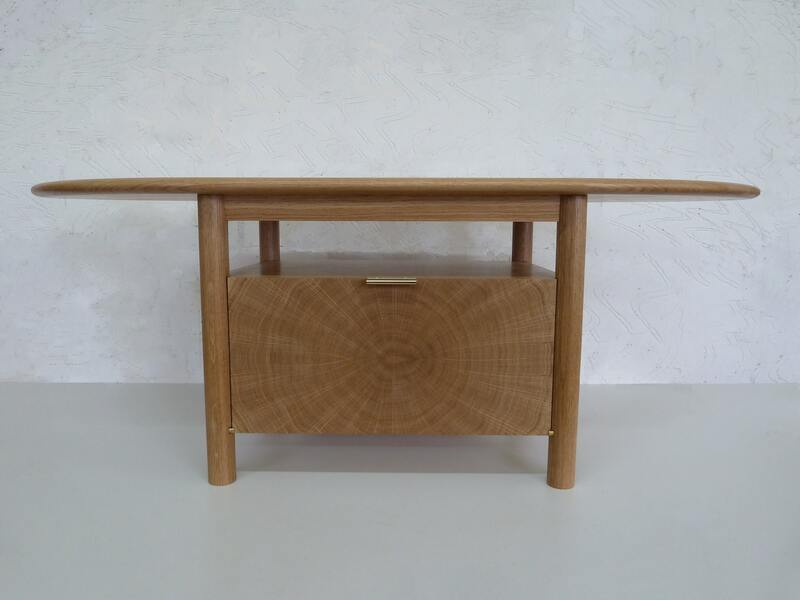 Beneath the table top, the cabinet with its feature front door, can be used to house items associated with televisions, e.g. 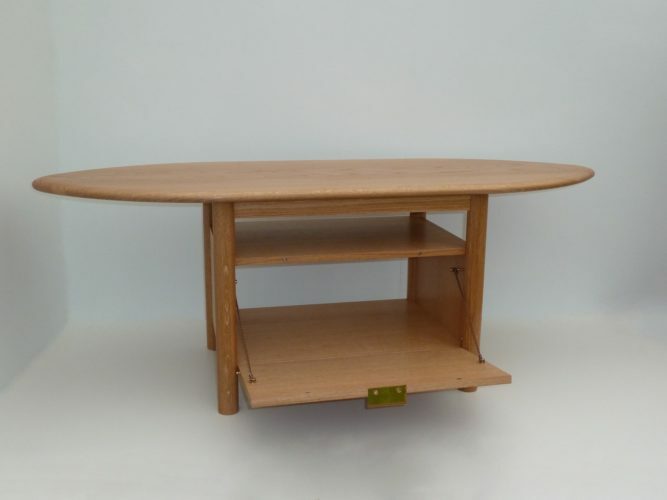 DVD player, Sky box etc. 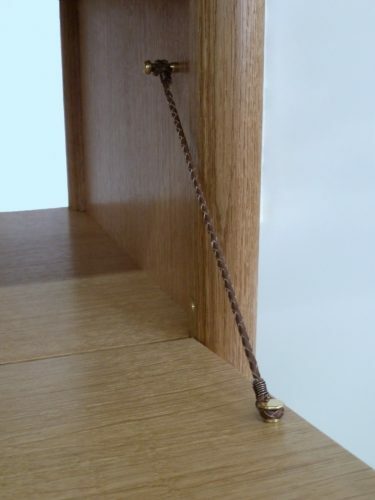 The back of the cabinet has been left open so that cables from these items can pass through without hindrance, whatever their configuration. The cabinet can alternatively be used to store any other items that find a useful home there.